In addition to the use of classroom textbooks, which is included in student registration fees, novels for English classes must be acquired by students at an additional cost. To avoid these costs, students may check the books out at a local public library, or the school library, though limited quantities are available. If students wish to purchase their own copies, they may do so from the store of their choosing (Barnes and Noble, Amazon.com, etc. ), paying mind to the ISBN number, which is located on the back of the book, near the barcode. Please note that books can sometimes be difficult to obtain from local bookstores as the students' time of need draws closer because they sell out. Purchasing books from the book fair is the best way to ensure students have all the books they need for the year. For your convenience in purchasing the required titles for the 2018-2019 school year, an Anderson’s Book Fair will be held on-campus from August 27th-September 7th. During those times, books can be purchased in the library at school using cash, credit card, or with a check written to Lake Park High School. 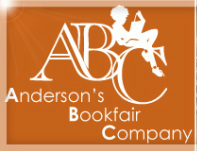 You can also purchase books online at: http://www.abcfairs.com/lake-park-highschool. Please note that once the book fair has concluded, Anderson's standard return policies apply (Keep your receipt! ), and any returns must be completed at the Anderson's Bookstore in Naperville, La Grange, or Downer's Grove. To determine which titles to purchase and the prices if the books are purchased at the book fair, please refer to the English class listed on your student’s schedule and compare it to the list below.